There are rumors on the Internet that Voice of America is considering to hire a new director for the Persian Service to replace Ms. Setareh Derakhshesh. This is not the first time VOA is changing the management of the Persian Service. But hiring new directors for a wrong reason has happened many times at VOA. Setareh Derkhshesh is being blamed for hiring Islamic Reformist sympathizers. Most of the blaming is done by Mojahedin-e Khalgh (MEK) sympathizers. Are these allegations true? Yes they are, but if a director, or a reporter, with another political, philosophical or religious line of thought had been hired, as long as censorship of views rather than presenting the whole story was prevalent at VOA Persian Service, the same result would ensue which is the mistrust of the audience. The problem of VOA Persian Service is that it does not follow VOA's own Charter of 75 years ago, which is very simple-- just exercise balanced reporting, i.e. telling the whole story while making sure to promote democratic values. This is what VOA did from inception at the time of anti-Fascist War in 1942. VOA did not stop presenting the views of the Nazi side by censorship, it rather presented the news and views of all sides of the war while at the same time, promoting the democratic values. In fact, VOA's honesty of presenting the whole story rather than censoring any side, was by itself, the best proof of adhering to democratic values. 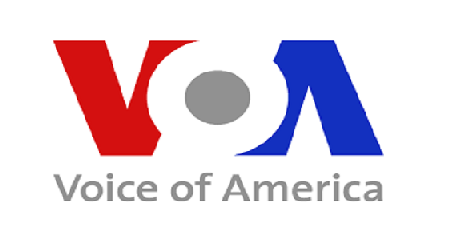 Now VOA Persian Service has been censoring all kinds of views because its management did not have enough maturity and knowledge-- whether the Islamic Reformists were the ones running VOA, or the monarchists or secular republicans. There is nothing wrong to hire someone sympathizing with the Islamic Reformists, or Mojahedin, or Monarchists, or Iranian Secular Republicans. Those working in a news organization do not need to be harmless potatoes. VOA needs a director who can really lead to present the whole story and truthful news and to promote democratic values and this cannot be done by a director who is afraid of views challenging each other, sorry but this *is* the reality of Iranian political scene. A director who chooses to use censorship to protect one's own ignorance of Iranian political reality is not the right choice for VOA whether they sympathize with Islamic Reformists, MEK, Monarchists or Secular Republicans. It is best to have someone who clearly states what her/his views are while is able at the same time, to present all sides of the story and to promote democratic values.